King the wire fox terrier after winning the Terrier Group judging at the 143rd Westminster Kennel Club Dog Show at Madison Square Garden on Feb. 12, 2019, in New York City. NEW YORK - A wire fox terrier named King was chosen as best in show at the Westminster Kennel Club on Tuesday night. 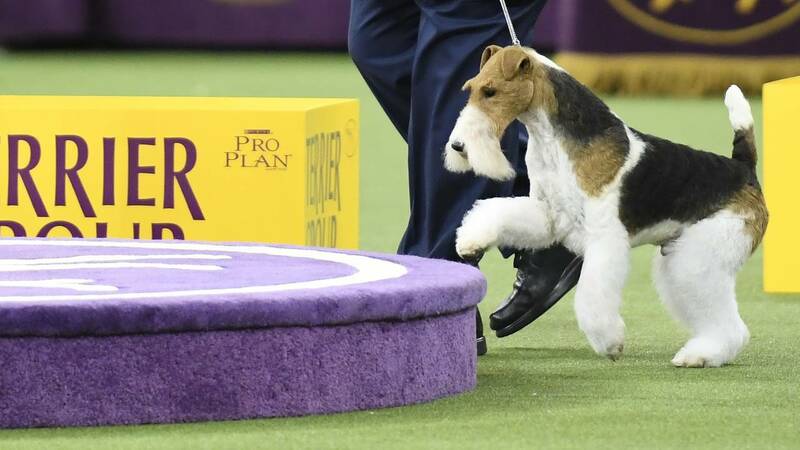 The victory for the breed at Madison Square Garden marks the 15th time a wire fox terrier has won the best in show title at the prestigious dog show. Those 15 victories far outpace the next closest breed, with Scottish terriers winning a total of eight times. King, whose full name is Kingarthur Van Foliny Home, has now won 47 overall best in show titles, according to The Associated Press. His handler, Gabriel Rangel, is also no stranger to dog show victory, having previously guided two other terriers to best in show wins at Westminster. The rest of the show's final ring included Bean the Sussex spaniel Burns the longhaired dachshund, Wilma the boxer and Baby Lars the bouviers des Flandres.